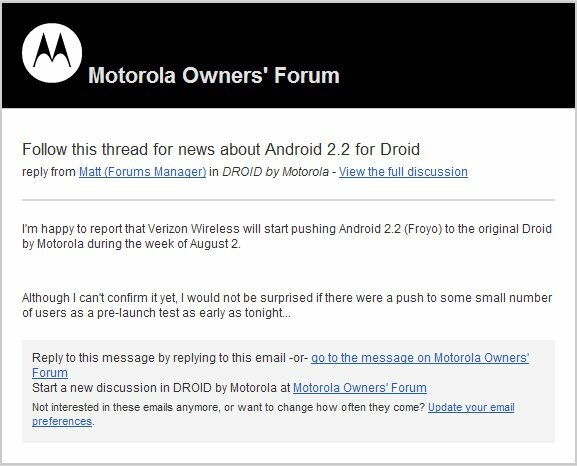 If you were signed up through Motorola’s forums to receive notification of the Android 2.2 rollout for the Droid, then you probably just received the email above. What’s amazing about this? It mentions that a few test updates will start rolling out to users as early as tonight.